Notice anything different? After about a year of having it on my to-do list, I had this blog cleaned up in a subtle way. I made use of Kate’s design services, knowing how precise her work always is, and she delivered exactly what I wanted, which was basically a white space-filled, pretty, functional frame that wouldn’t overpower the content. I love it! I chose the rose header above because it reminded me of illustrations from actual field guides, and because it was so clear (I have received email with the salutation “Dear F”). She pulled the rose from one of my London flower photos—Kate was probably right there when I took the picture, memories 4ever! I usually enjoy doing my own work, but I also enjoy working with someone I know and trust and making use of their talents on a professional level. So, thanks, Kate, and thanks to Geoff for doing all the coding. I also wanted to send my love to my sweet friend Caitlin. We love you, Cake. Here are some virtual flowers for you, although I wish I could come over and bring you an armful of the ballet slipper pink carnations that you love. Clockwise from top left: showy roses from my favourite field guide, The Field Guide to Wildflowers, taken from my Instagram account (user name: fieldguided, although frankly I am not too proud of my Instagram account. I cannot get into the habit); flower arrangements from Jil Sander F2012; Sophie Tajan; Hannah surrounded by petals and pink. 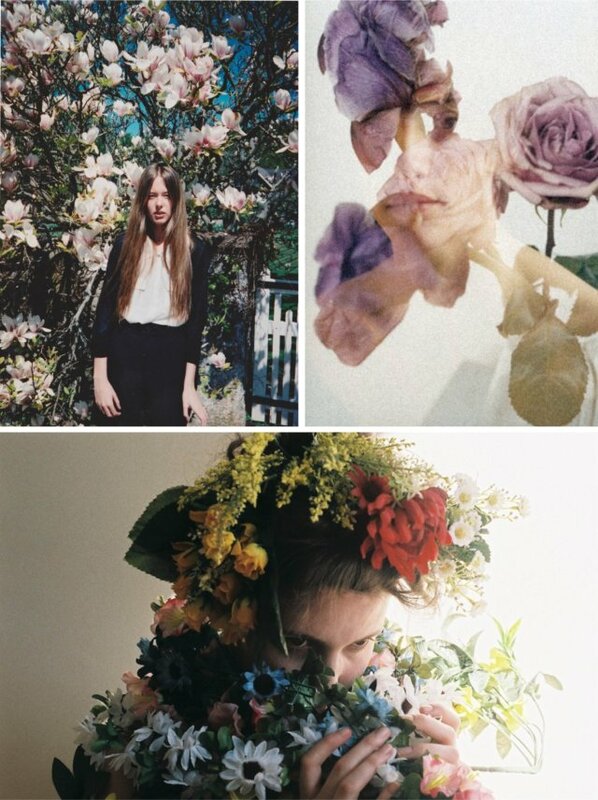 Clockwise from top left: Maja Engman; Mel Bles; Julie Lansom. Gorgeous! 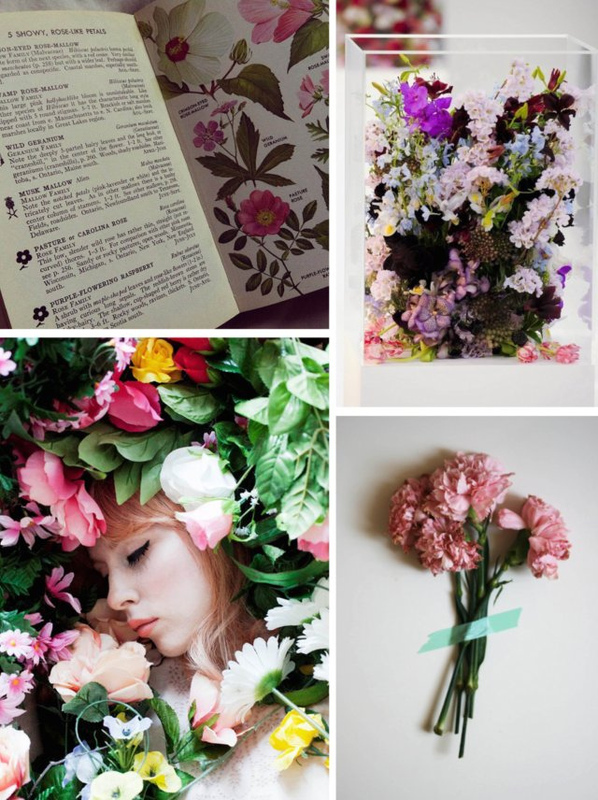 I love all of the floral as well. Have a lovely weekend. the new design looks beautiful! It is quite white. :) But like you said, very clean and precise and dainty. I like that Sophie Tajan art, a lot. Neat & pretty new look! Very nice. Love the new design, Anabela - yay!! Thank you for pointing out a change in your layout. I do almost all of my blog reading in GoogleReader and forget that the beauty of the blog layout is as important to my enjoyment as the content. A good reminder to click the link out of my Reader to browse through my favourite blogs. I do as well! I recently noticed a new header on a favourite blog of mine, and wondered just how many months it had been up for, ha. It's beautiful! Great job guys! So pretty and clear. I love the look! J'adore the new look! It's beautiful. Really digging all the white space (so refreshing) and the rose in the header is the perfect touch. the new layout and header looks so so so so beautiful!!! it makes me happy to look at. And I didn't like the old one! Sorry you don't like this version, but I was tired of looking at the old one. Totally lovely. I really love the little circles of pink to the right. I'd like "showy, rose-like petals" to be my epitaph, please. It's pretty incredible, isn't it? I've been obsessed with that page in the book! Oh nature, you're hilarious. I love it! love love your blog! Looks great! It's nice to change up your template to keep things fresh and up to date! Fresh for spring. My new favourite thing for web design these days is using the embedded web fonts. For sure! We were going to use a different font but that one didn't come in a web font, which was kind of a bummer. Love the new design! Kate did a great job. Oh my gosh this blog is stunning! CONGRATS girl! The new design is lovely! Very sleek. Hope you can, because she is a dream! I absolutely love the design! What a nice way to send flowers to Caitlyn, I hope things are getting easier for her. Oh your poor friend Caitlin, I took the time to read her post now. That's so awful, I hope she feels better. oh, i adore the new look! love the header, especially. and those carnations for caitlyn, so sweet. your blog is such a lovely and calming space, anabela. so lovely! the flowers and the new design. how wonderful spring feelings give this pics to me! Thank you all very much for your comments! Love the new look, it's very pretty! Looks brill! Well done on the new fit-out. Love that rose in the header, and that's sweet that it's from one of your own photos.